Both social networking sites are powerful and have a lot of opportunities for your brand to engage with consumers. There’s no doubt about that. Plus, we integrate with both! And the two are closely linked together since Facebook owns Instagram. Despite the close bond between them, they’re two separate platforms that need to be approached differently. The Instagram post has over 2,400 likes compared to Facebook’s 21. On top of that, it also has 20 comments while the Facebook post only has one. Even on a more popular post on Facebook, the engagement from Instagram is still higher. This post has over 500 Facebook Likes, which is great, but compare that to the numbers the brand pulled in from Instagram. Here’s another example. 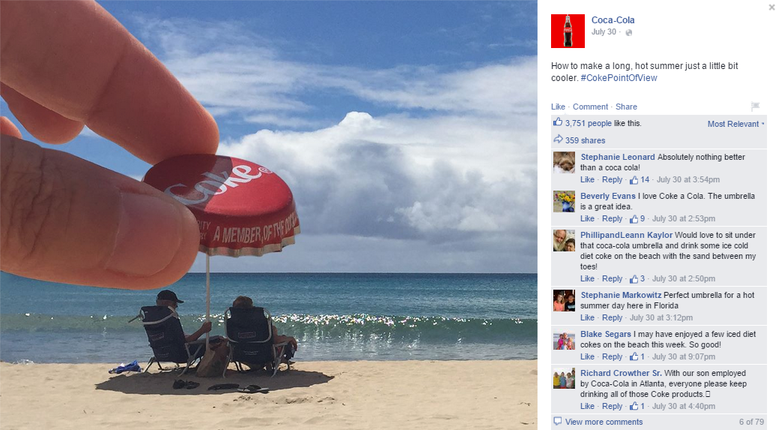 Coca-Cola has over 91 million Facebook Likes and 746,000 Instagram followers. That’s less than 1% of its Facebook followers. Naturally you’d think with that many fans on Facebook the company’s content would see much more engagement there than on Instagram right? 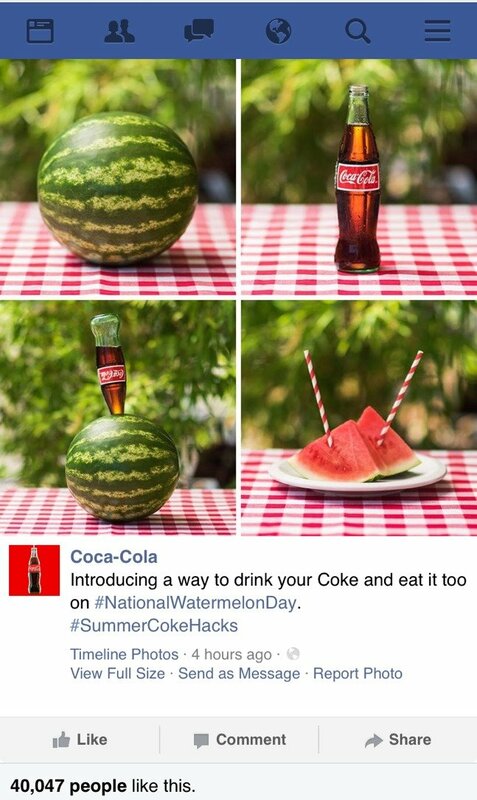 Here’s an image Coca-Cola posted to both Facebook and Instagram. 3,751 Likes and 79 comments. Again, those are great numbers. Now let’s see how the same exact post performed on Instagram. Over 30,000 likes and over 270 comments. 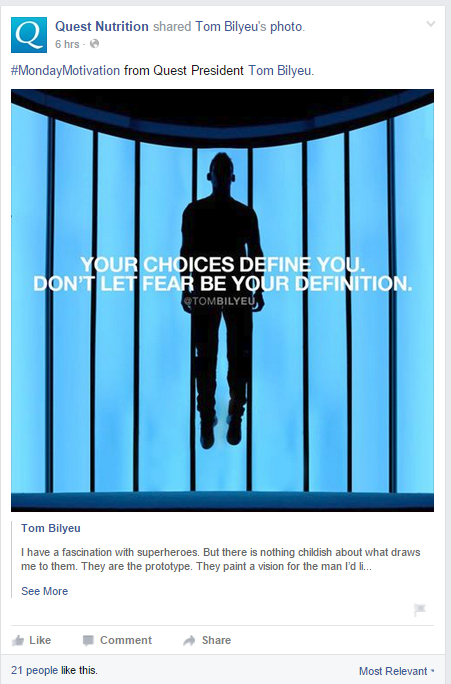 One thing to keep in mind about Facebook is that the way content appears in users’ feeds is based on algorithms. And over the years the reach of content brands publish on Facebook has dropped. So you may end up having to boost your Facebook posts to get more exposure and subsequently more engagement. 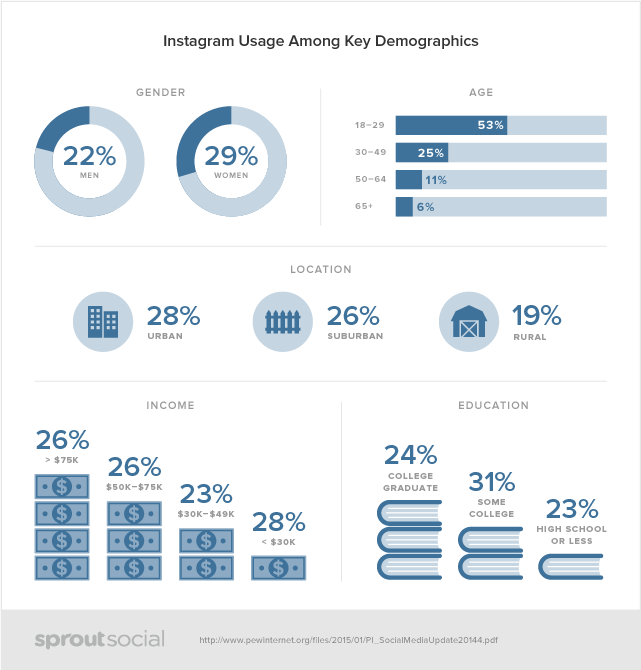 You won’t always get more engagement on Instagram posts than Facebook ones. There are a variety of factors that go into how users interact with you content on social media. For instance, images perform better on Instagram than Facebook since that’s what Instagram is primarily used for. Text, on the other hand, is better left to Facebook most of the time. 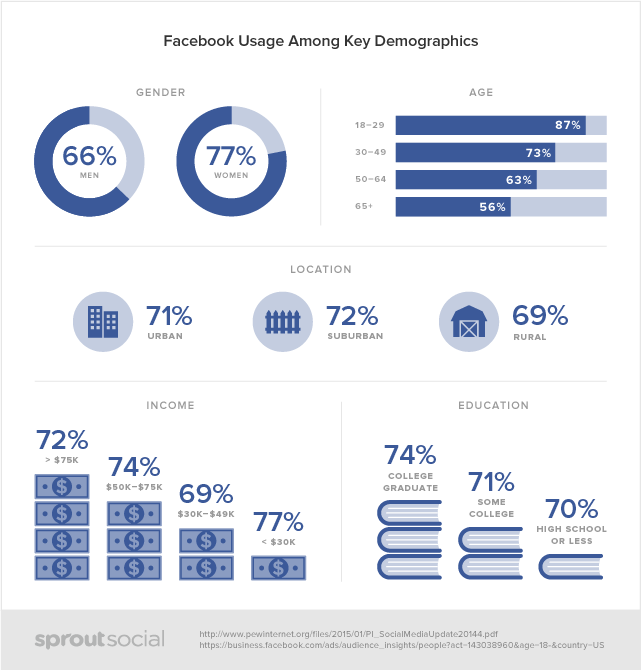 You have to consider how your audience uses each social network. Which brings us to our next point. This comparison would be incomplete without taking a look at how each social network is used. We’ve established that Instagram is image-based, but the differences go beyond that. Facebook is largely informational. You can find out things about a company through its Facebook Page whether it’s business hours, an address or upcoming events. Facebook is focused more on text because it’s data driven. That’s why it takes longer to create a profile on Facebook than it does on Instagram. They serve different purposes. Instagram is about capturing moments. People don’t open Instagram to find out your company’s business hours or to see if their friends have been to your store. They use Instagram to engage. There’s no other purpose for the app. That’s what makes it so effective for building your brand and gaining popularity. It naturally lends itself to getting content spread. When you go out to eat and the menu has 50 different entrees to choose from, it takes you a lot longer to make a decision and to take action. But when you go to a place that specializes in only a few select dishes, you make your decision a lot quicker. Facebook is like the restaurant with 50 different options. There’s so much you can do from messaging to playing games and watching videos. It’s easy to get distracted. Instagram is like the burger place downtown that serves two things, burgers and fries. It doesn’t give you an opportunity to get distracted. When you launch the Instagram app, you’re immediately hit with content. It’s much less cluttered than Facebook because it’s strictly focused on content. And when you open up an image, you can either like it or comment. Here’s a Facebook post on mobile. You have more options for what you can do on each post which is nice, but it can also decrease the engagement because it’s not as simple as Instagram. Which One Should You Publish Your Content On? The type of content you publish on Facebook or Instagram is also important. A big mistake that companies make is treating Instagram like Facebook. Content that works on Facebook doesn’t always translate well to Instagram. Facebook is a great platform to curate content. You’ve probably noticed that a majority of the content shared on Facebook isn’t original. It’s generally curated blog posts, news or content that’s just being shared from other accounts. Instagram on the other hand is all about original photos and videos. Your first stop for publishing company news should be Facebook. Since Facebook is more text based, you’ll have a better chance of people reading the entire update. For instance, if you have to close down for reconstruction you’d want to make a Facebook post about it. Instagram is where you could post pictures of the reconstruction in progress. See the difference? Did your company host a charity event or go to a popular conference? That’s the perfect opportunity to get content for Instagram. You can post the images in real time to give your followers a feel for how things are going. When you get back from the event, you can create a Facebook photo album with the best pictures. Image contests are all about engagement, and we know that Instagram is the king of engagement on social media. Use Instagram as your platform to host the contest and make a hashtag to keep track of it all. You can promote the contest on Facebook to help push traffic to your Instagram account. You might even consider running some Facebook Ads. 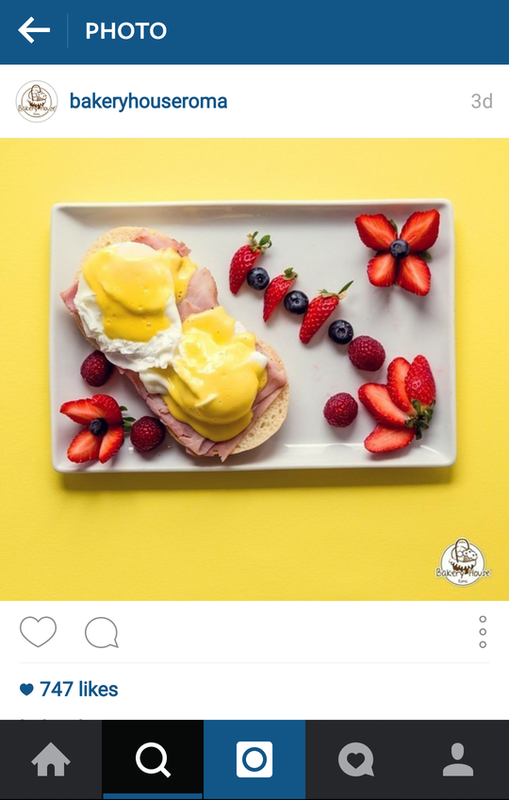 Any type of original photo that has to do with your company and brand should go on Instagram. If you’re publishing content that has a lot of text, then Facebook might be a better choice. Sometimes you might run into situations when a piece of content could work well on both like the Coca-Cola example from earlier. When it comes to creating, tracking and reporting campaigns, Facebook has the advantage. For one, Instagram doesn’t allow you to add clickable links in your posts. That alone makes tracking campaigns a bit trickier but still possible. Also, Facebook has the best paid advertising platform of any social media site. Aside from its laser targeting, it’s extremely simple to track your ROI on every campaign. To be fair, Instagram hasn’t opened up the doors to marketers and advertisers as much as Facebook yet. Just like every other social network, Instagram has been focused on building up its user base and making the experience as enjoyable for them as possible. There’s no doubt that the company will eventually start to roll out more options for advertisers, including better tracking. But that doesn’t mean that you can’t track your campaigns on Instagram. 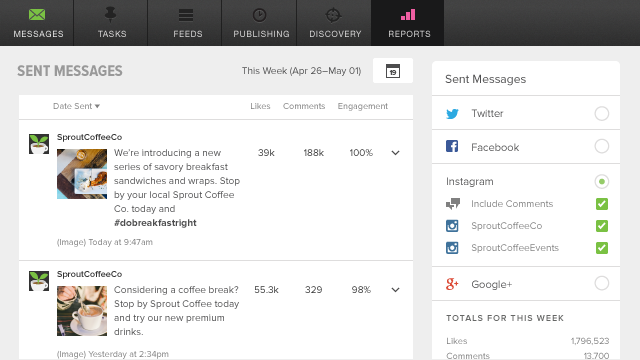 The Sprout Social platform actually lets you get a good overall view of how your content is performing on Instagram. And there are a few different things you can do to help get a better picture of the impact Instagram is having for your brand like using UTM codes and shortened URL’s. Facebook isn’t a replacement for Instagram and Instagram can’t replace Facebook. You have to identify your audience, think about the type of content you want to publish and then find a happy medium. In the end, the question isn’t which social network is better. The question you have to ask yourself is how can your company use each one to reach your audience and grow your social media presence.